Singtel is ushering in the Year of the Monkey with a goodie bag of treats for its customers. 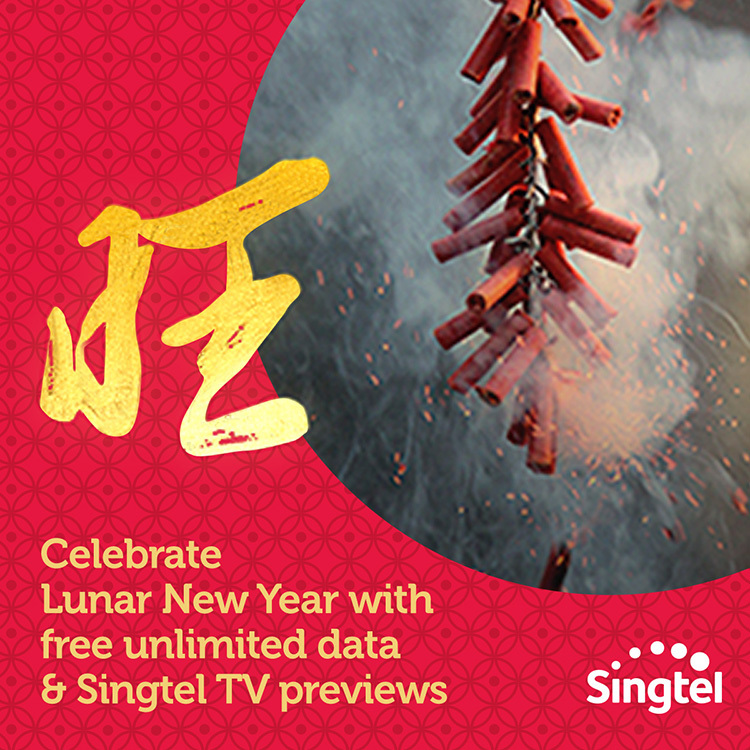 All Singtel postpaid customers will enjoy two days of free unlimited mobile data from 12am on 7 February to 11:59pm on 8 February while Singtel TV customers will be treated to free previews of more than 150 channels from 6am on 5 February to 11:59pm on 14 February. Customers can visit singtel.com/cny for more details.